We invite everybody to try kayaking in Poland. Especially to experience the beauty, wilderness and charm of The Nida River. Reaching the Vistula River is in a few days paddle range. We can deliver the boats almost anywhere. We mostly hire kayaks in the Świętokrzyskie, Małopolskie, Łódzkie, Śląskie and Mazowieckie Voivodeship (rivers: Nida, Pilica, Warta, Liswarta, Wisła). It means that our rental place is in the middle part of Southern Poland. We know well the rivers we kayak on as we’ve organized countless number of trips there. We are willing to give advice upon choosing the route as well as the most convenient option of transportation and parking. We own 16 vehicles with kayak trailers, which means we have the best logistics among Polish kayak and canoe hire companies. We deliver the boats to a chosen place on time and after the trip you don’t have to wait for us for hours. Minimal number of kayaks or/and canoes 7 pcs. 5 pcs. Minimal number of kayaks or/and canoes 5 pcs. 3 pcs. 2 pcs. 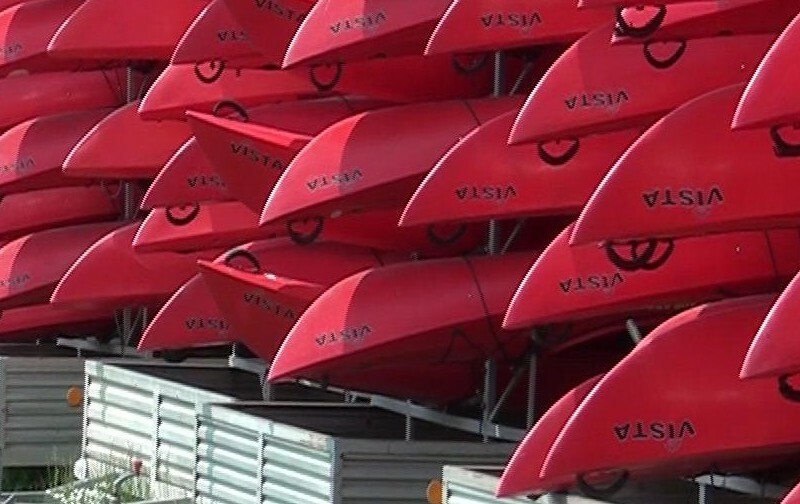 The transportation price (max 13 kayaks on one trailer, max 8 canoes on a trailer) is 1,5zł/kilometer. We charge for the actual mileage – approach and return to base. We deliver kayaks from our base in Jędrzejów near Kielce. If you want to hire kayaks and canoes, please call and make sure that transporting both is technically possible on one trailer. An adult person renting kayaks/ canoes signs RENTING CARD by the river. Fills in their personal data, information about the type and number of the equipment and signs a clause: „ P.T. Kajakiem.pl doesn’t bear the responsibility for the hirer safety. The hirer bears the full responsibility for rented equipment and is obliged to use it properly or cover the costs of losing or destroying any part of the rented equipment”. if we deliver kayaks the day before launching out we don’t charge for an extra day. The necessary condition of the reservation is paying an advance described in the confirmation of the reservation. The advance is never more than 30% of estimated total cost. We suggest collecting money from your friends as the number of reserved kayaks and days is obligatory. If you booked 10 kayaks in July for Saturday and Sunday you are going to pay for 10 kayaks, for two days. The kayaking season is short and we can’t afford blocking the equipment, especially during holiday weekends, when there are more interested people than we can serve. We set all the details via e mail or a phonecall while booking the equipment: the number of days, the number of boats, planned route, venue and the time of delivery, car park, any additional equipment, the number of small life vest for kids. On the launching day some of the changes may not be possible. We deal with one person representing the group. The equipment should be returned clean so it can be rented again straight away. We don’t charge extra for cleaning the equipment, we count on following a good kayaking practice. We serve different groups in many different places – we set the time and details so nobody has to wait for us, so please be punctual. We deliver the equipment to certain place at the set time. It is difficult to plan where and when you are going to finish the trip so our drivers await for your call when you are able to predict the place and the time. We offer a parking space free of charge in our base in Jędrzejów. If there are too many people in your group we transfer only the drivers and the rest of the group awaits by the river where you will start the trip. It is also available to park the cars on the farm by the river and it doesn’t cost much. After the trip, we invite the drivers to go in our van, with the equipment to get their cars back. It is free as long as the cars are parked along the way back to our base. We always advise the most comfortable and the cheapest solution. In case of renting the equipment we are no longer „organizing the whole trip” which means we do not provide instructors or the insurance. Organizing the trip, pairing crews, deciding about the boats order, providing safety, keeping the group sober, wearing buoyancy vests are the renting person’s duties. Picking up the kayaks on call! We are flexible – the routes are just a suggestion. If you wish to finish in a different place – just call us from the river. We can get to any place where the road is. This route is very diversified and extremely attractive. Lets you spend a few hours in a different world, without people or civilization. It leads through meadows, woods and rushes. The river meander quite a lot so it is necessary to control the boat well. A few small bars are possible to surmount without leaving the boat. Without any troubles we pass by old, closed mills. A perfect way to spend whole day in a kayak, also for those inexperienced kayakers. The route doesn’t require a lot of experience. It’s very picturesque, partially leading through the woods. On the way you pass by at least a few spots suitable for organizing a quick camp fire. Half way, by the river, there is a castle in Sobków with a restaurant. A good opportunity for a break for lunch or coffee. Is an option for those who has never kayak before. That is the easiest part of the river without obstacles or dangerous spots. The river is shallow all the way with sandy bottom and the water is clear and warm. On the way you can visit a castle in Sobków with a nice restaurant. The river with a natural river bed flows in a beautiful, picturesque scenery. It is also easy, shallow and safe kayaking route. Recommended for those with little experience or families with children. Every beginning kayaker will be satisfied with this route. Our speciality is an upper part of the Pilica River on the border of Świętokrzyskie and Łódzkie Voivodships. One of the most beautiful parts of the Nida River. The route recommended for kayakers with at least minimal experience. The biggest difficulty is a portaging over a mill in Wolica and a quite long rapid right behind it. Excellent idea for two days in a kayak. A bit of hacking through the bushes, a bit of woods and a bit of sweet laziness. Sometimes it is narrow, sometimes it is wide. Picturesque, diverse, wild. We can recommend this route as one of our favourite. An easy route, recommended for beginners. One of the most beautiful parts of the Nida River. If you don’t like it we will be depressed and we’ll stop organizing kayaking trips forever. We are helpless trying to answer an eternal question „Which river is more beautiful Biała or Czarna Nida?”. We just can’t say. The best solution is to kayak on both and decide for yourself. A route perfect for rookies also with little children. The river flows in a natural valley, through two landscape parks. 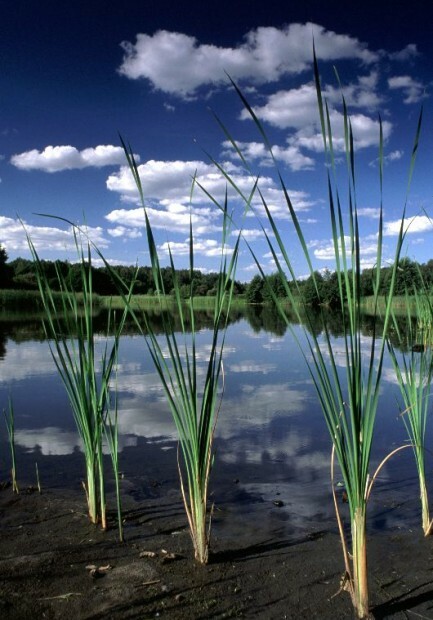 The river bed is very diverse and the water is clear and shallow. On this part of the Pilica River there are no major obstacles. You can finish the trip on Zalew Sulejowski – reservoir in Sulejów. If you’re not afraid of carrying a kayak over some obstacles and you value beautiful, wild routes, you should start your trip on the Lubrzanka River. First part is a little rough, later on you kayak on the Nida River – one of the most popular kayaking routes in Poland. On the way, you pass a lot of places worth visiting, located ashore- heritage park in Tokarnia, a castle in Sobków, Pińczów. There might be problems in finding accommodation but there are plenty of wild clearings suitable for camping. Highly recommended route for longer journeys. Starts with a narrow passage of The Biała Nida River and ends with an epic flourish of the Vistula River. A very interesting river, plenty of sights to see ashore on the way. Sightseeing in Sobków, Pińczów, Chroberz or Wiślica might be a nice break from paddling. There are no problems with camping in the wild. Wierna Rzeka is a left sided tributary of Biała Nida. The route is rarely visited by kayakers which guarantees privacy. Except three portagings, the biggest difficulty is a straight part along a reservoir in Zakrucze which is, from time to time, very shallow. Wierna Rzeka beautifully gorges between two hills Brogowica and Czubatka.